Uncle Boons is a fun name to say out loud. Like saying the words boom, boondoggle, or T. Boone Pickens. An uncle named Boons wouldn’t be dull or boring–he would be the life of the party, someone who would pull coins out of your ear and give you some ice cream money. Imagine your delight when your fun uncle from Thailand just informed you that he would be moving to NYC! Uncle Boons, or rather his restaurant, has set up shop in Nolita. I’ve been to Uncle Boons’ house, and it is beautiful. If you’ve ever been to the Jim Thompson house in Bangkok, it basically looks like that, except on a smaller scale. Like the bar and basement section of one of the six houses in that massive complex. Which is fine, because it makes for a much more intimate and familial setting. And Uncle Boons is cooking up some good food at his house! Well, let’s give credit where it’s due. It’s not really Uncle Boons who’s doing all the work. His niece Ann Redding and her husband Matt Danzer are doing the actual cooking, and their menu features recipes from the whole family. We decided to kick things off with an order of the lon pu kem, and then dove right in with two larger plates, the kao pat pu and the khao soi kaa kai. The lon pu kem is a cold dip made of salted black crab, ground pork and coconut cream. 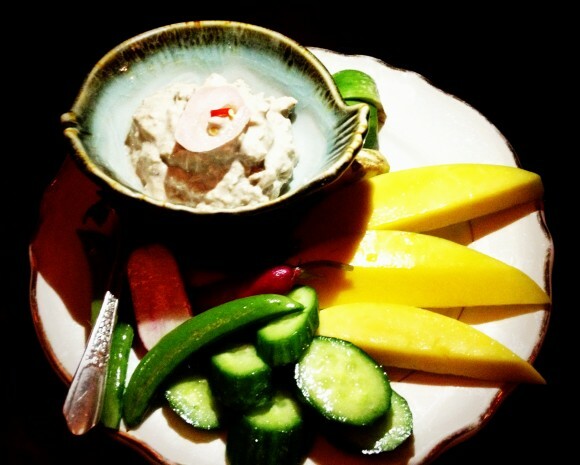 It’s served with various vegetables such as Thai eggplant, snap peas, sliced mangoes and radishes. I really liked the pungent fish flavors that came through in the dip, but I wasn’t a big fan of eating it with the raw vegetables. I think something like nori crackers or bread might have showcased the flavors a little better. Ruoxi thought that it tasted like tuna salad. You can safely assume that we thought the dip was good but not great. While I wouldn’t go on a second date with the lon pu kem, the kao pat pu (crab fried rice) and the khao soi kaa kai (golden curry with egg noodles and chicken) had me at hello. Especially that crab fried rice. I could eat this everyday, for reals. Move over Mission Chinese’s salt cod rice, there’s a new fried rice queen in town! It really does taste homemade–made at home by an awesome member of the Uncle Boon family! 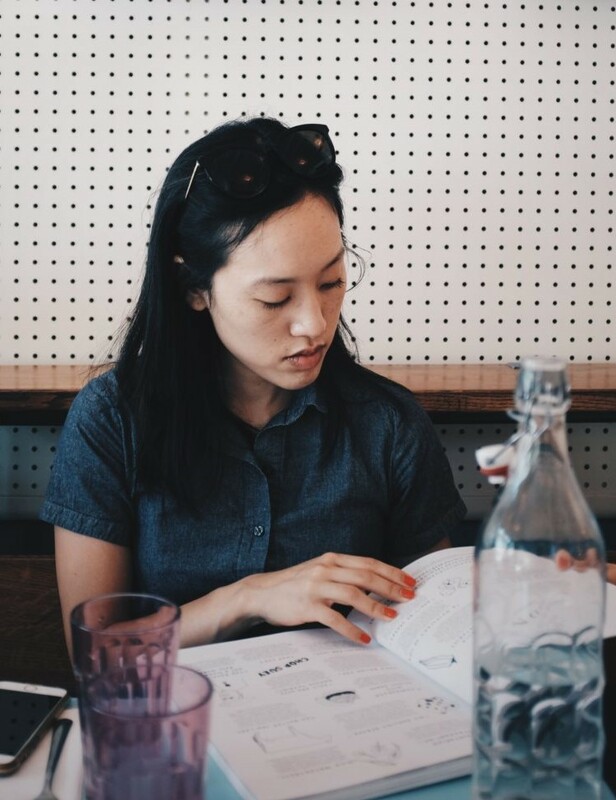 Going off on a tangent here, but Danny Bowien of Mission Chinese was eating dinner next to us at Uncle Boons. I wonder if he felt shame knowing that his celebrated fried rice is a sham and Uncle Boons’ is so much better? I tried to let him know through telepathic messages. 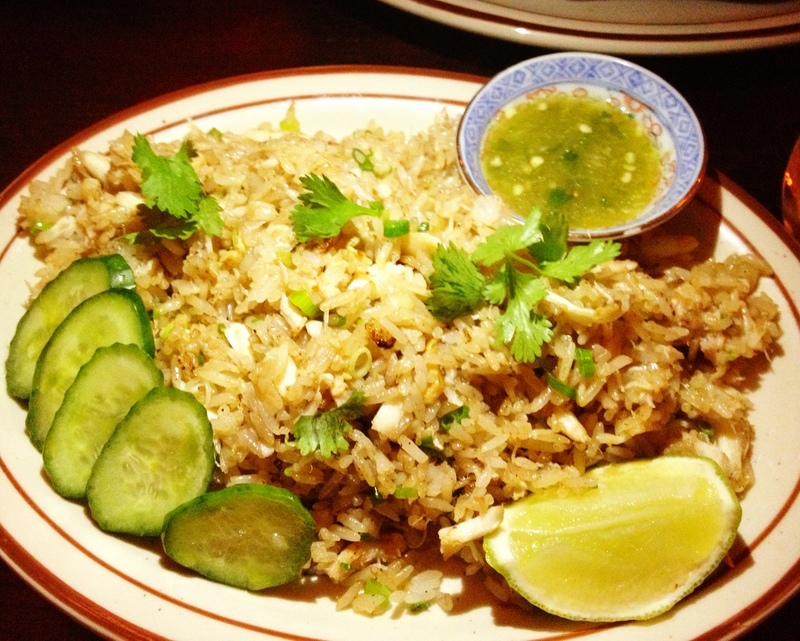 kao pat pu–this crab fried rice is the bomb! 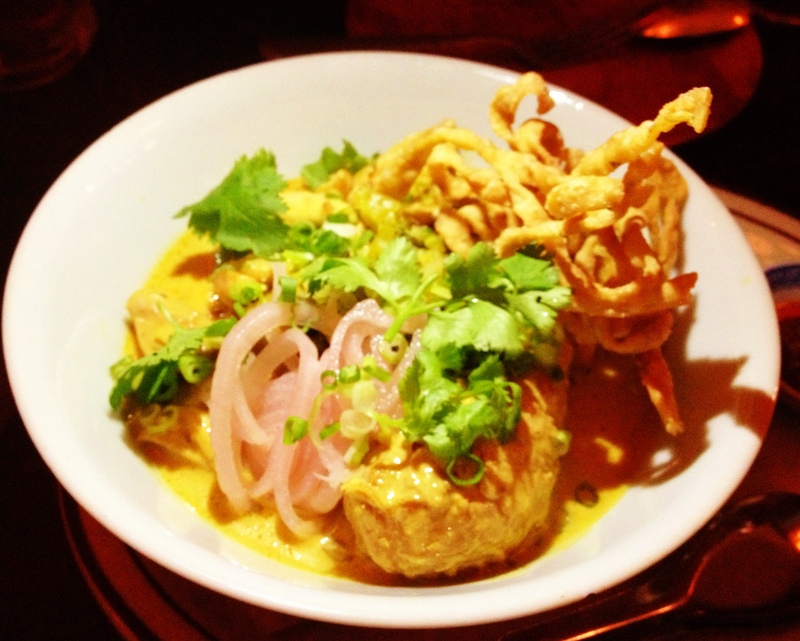 The khao soi was unbelievable too. The curry was creamy and savory, without being overly heavy or salty like at a lot of American Thai restaurants. This dish came with a small cup of spicy chili oil on the side; just a smidgen gave the perfect amount of heat to the curry. Little Serow, take notes! The crisp egg noodles nicely absorbed the moisture and flavor of the curry, and the tender curry-soaked nuggets of chicken were delicious. I regret not ordering a bowl of jasmine rice to soak it all up. This dish was breathtaking, and not in a Seinfeld sort of way. khao soi kaa kai – the golden ticket of curry egg noodles! The only bone I have to pick with Uncle Boons is the pricing. For two entrees with modest origins, a small appetizer and two beers, our meal came out to $50 a person. Uh yeah, that’s a little steep. I think $30 a person is more appropriate, but maybe the two owners’ Per Se upbringing is shaping their pricing decisions. The $25 price tag on the crab fried rice is stopping me from ordering it as take-out all the time. The food here is quite delicious. I just wish rich Uncle Boons would be a little more generous!